Naked Girl in a Dress exists because I want to write a cookbook. It seems like a crazy admission, but it is true. Not having much faith that an unknown in the culinary world could go from a messy spiral with hundreds of recipes scribbled down to published cookbook author, I decided the first step would be a food blog. This led to me entering into a professional photography school (because food blogs require many images per recipe). As soon as the long-term plan formed for the food blog, I started Naked Girl in a Dress. Because Darren Rowse told me to. Well, not exactly. We didn’t have a conversation where he suggested I start one blog while working on the training and development required for another. I do have a bloggy crush on him so it is possible that I fantasized about this, but it didn’t actually happen that way. Is this confusing? Is anyone still following my train of thought? Here’s what actually happened: I read Darren Rowse and Chris Garrett’s book on blogging. This indispensable how-to guide was my starting point in research for blogging. I am actually re-reading it right now. One of the many valuable tips shared was to have more than one blog if you are serious about becoming successful in this medium. Knowing I was almost two years away from starting a food blog, I decided to start a personal site. And so Naked Girl in a Dress was born. 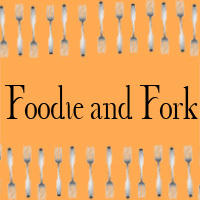 Foodie and Fork will go live in September, but the social media launch started last week. If you enjoy learning about food and wine, discovering great recipes, or finding out about the latest culinary products, follow me. Naked Girl is my first baby on the internet and I will continue with the same posting frequency when Foodie and Fork launches; nothing will change here. My online presence started with Naked Girl, Foodie and Fork is second, and two others are in the early stages of development. And, like any mother will tell you, they will all be my favorite for very different reasons. Thank you for your support following my writing here. I hope you will also follow my culinary venture. I can’t wait to see your unveiling of Foodie and Fork! How exciting! Yay! I can’t wait to read it! I actually intended for my blog to be a food blog, too. And then I got tired of cooking. Congrats on your latest venture. I will be following! 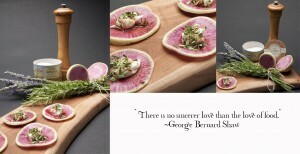 I love easy delicious recipes and wine…. well, of course! I admire your passion and vision! Random Girl recently posted..So Imagine my surprise when…. Darren knows his stuff, that’s for sure. I’ve checked his website many times for tips and tricks. Congrats, I love hearing these stories. Glad to play a small part in your journey! Darren’s reading your post! How do I know? He tweeted so!! That’s how I found you. And since I’ve now spent some time on your site, I can see why he did…. I like your style. Way to go! I love to see people following their dream. Don’t be surprised if you see me lurking around there too. Vinny C recently posted..Just Where Have You Been This Week? – Don’t You Mean Last Week? I promise to be faithful, supportive, and encouraging b/c I have dreams, too. Congrats on the new virtual “baby”… looking forward to the new foodie blog! I’m not sure who told me to start mine… some would say the devil. Very cool! Now I know a little more of the history. I am now following and have your back for F&F. And much congrats on Darren stopping in. I bet that was a shock to the system, lol!